Break through the walls of impossibility with the Garmin Forerunner 735XT. 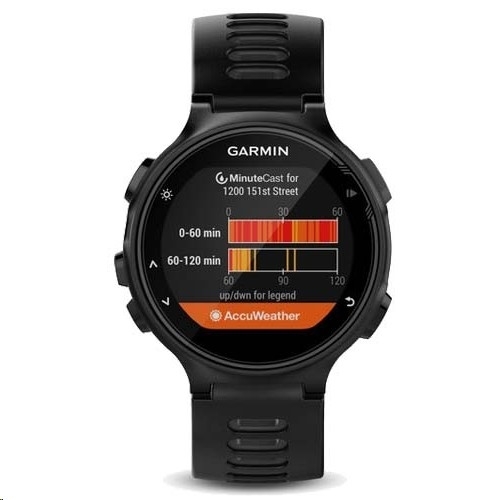 Providing complete data support and dynamics for numerous activities including running, cycling, and swimming, this versatile watch will motivate you to a new personal best every time. It has 24/7 Elevate heart rate technology to provide a true measure of your health and fitness. This is your favourite part of the day and you can't wait to get out there. Work stress, family matters, and financial worries are all forgotten as you stretch and warm up. When you run in the morning, it prepares you for the day ahead. In the evening, it helps you burn off steam. You're seasoned now. You're learning that running is about fine-tuning and that the pay-off lies in hitting that sweet spot between overexertion and phoning it in. 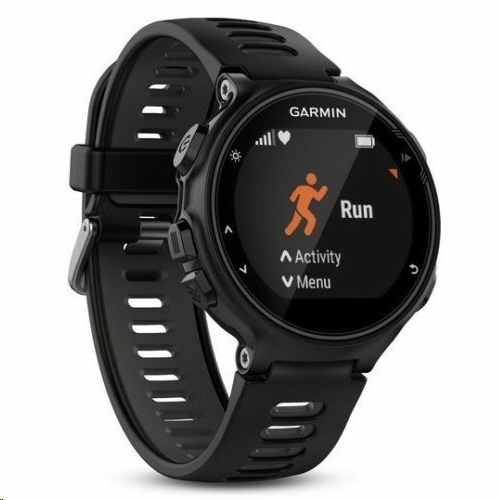 This Garmin Forerunner 735XT GPS running watch will help you hit that sweet spot. 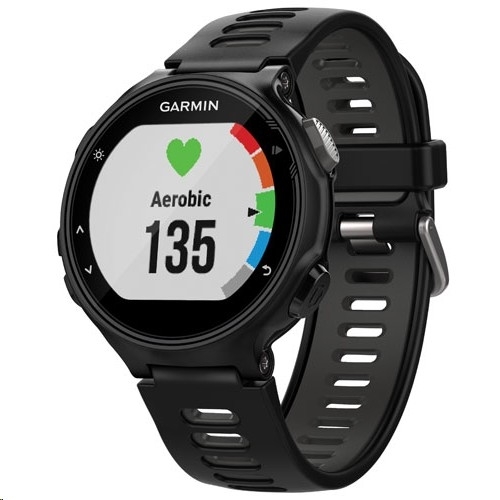 It measures heart rate and provides complete metrics for running, cycling, and swimming to give you all the assurances you need to know you're making true progress. This watch provides data support for running, cycling, swimming, hiking, strength training, and more. 24/7 Elevate wrist heart rate technology has its own data field to measure and compare how hard you're working. Strava Live Suffer Score analyzes your heart rate during a workout and ranks your total activity effort. All-day activity tracking monitors steps, calories, and sleep, and provides feedback to help you make the best recovery after a workout. GPS GLONASS helps you locate your position quickly and accurately so you know where you are and where you're going. Stay updated and connected by receiving texts, calls, emails, and calendar and social media alerts from your compatible Bluetooth device. This watch has a battery life up to 11 days in watch mode, including activity tracking, smart notifications and optical HR tracking, and charges fully in 3 hours. This watch has a lightweight design, a small form factor, comfortable silicone bands, and a large traditional watch display, that looks great while keeping you light on your feet. Waterproof design makes it suitable for swimming and other watersports. Connect IQ Store: Download free custom apps, watch faces, data fields, and widgets to help you gain that competitive edge. Download the app to join fitness challenges, review data, and receive smart coaching.